I'm not dead! Updates and teasers. Radio breaking squelch Is this thing on? Oh good! It's been a LONG time since the last update and that's my fault, apologies for the delays in posts but oh the things that have happened since the last one have been AWESOME. To start off, I have passed a year at the new job and it has been a whole freaking year of awesome times, some frustration with part of the program and then elation when finally it all worked together as intended. Developing a new high precision solar tracker from the ground up has been a massive challenge due to difficulties with getting the most critical part, the imaging Multi Object Tracking sensor that is also found in modern Wiimotes, working from just a datasheet and my admittedly terrible coding skills. Getting the driver working correctly really allowed the power and incredible value of a logic analyzer for debugging a system. 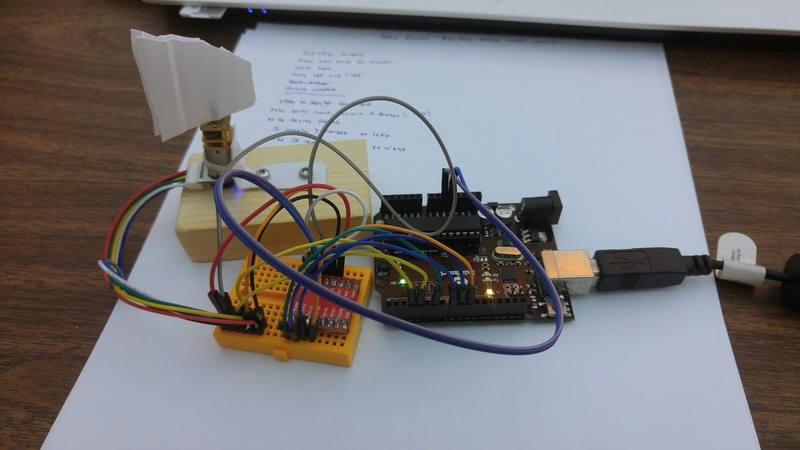 On the plus side, once that was working the rest was not too much harder and I have obtained permission from PXI to open source my library once that is working so anyone can unlock the power of this wonderful sensor. Another happening here was my first field campaign with my system, destination Arizona State University to do final debugging and training of the team that will be taking it to the Amazon rain forest. You read that right, this year I'm going to be at the one and only DEFCON in Las Vegas!!!! Since this year I'd had a mutual friend of W1NST0N and I's offer some space in his penthouse suite, we ran budget estimates for flight and food, found it was well within reason and decided to go for it. I've been watching the DEFCON talks on YouTube for YEARS and have learned a TON from them, and now I can ask questions and talk to the presenters in addition to a wide range of hardware and software hackers. Another bonus is I'll be able to meet more of my readers and put faces to the handles of quite a few of the people that I've been interacting with over the years across various platforms. If you find me, I'll have the normal 3D printed rings and some swanky new business cards to give you. Over the course of the event I'll be regularly tweeting my whereabouts and meetup spots, so come say hi, I don't bite and am more than happy to answer any questions you have! Remember: What I do release ends up under BeerWare licensing so this is a good opportunity to get those beers in! Cheers and see you in Vegas! 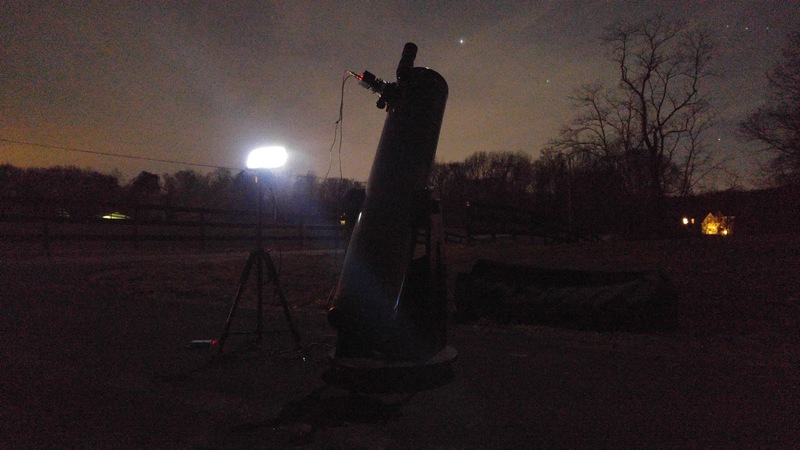 Q1 2017 Rocket active stabilization system update; Finally have working PID for positional control of a DC motor! New gear, livestreams and the first program sponsor! After nearly 4 and a half months of late nights, caffeine fueled jam sessions, one livestream(more on that later!) and more frustration than anticipated I FINALLY figured out implementation of PID for positional control of a DC motor with an encoder. More details after the break including a breakdown of problems I ran into, some shiny response graphs and most importantly; SOURCE CODE!?!?! 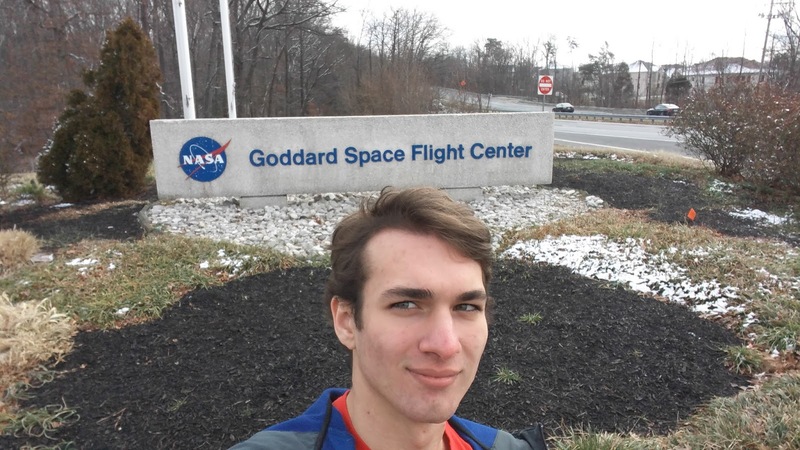 Yes you read that right, as of January 30th I am working at NASA Goddard as a student researcher in the earth sciences wing, specifically on the 4U Laser Hetrodyne Radiometer cubesat as a hardware/software engineering intern. First official day on the job! Happy Hackerdays readers! Since the last update I've been absolutely slammed between life and projects which had a drastic balance change that took more time and energy away from the blog than I'd have liked but thanks to a few alterations it is looking like I'll be back on track to get updates out more frequently and have an increase in project progress. 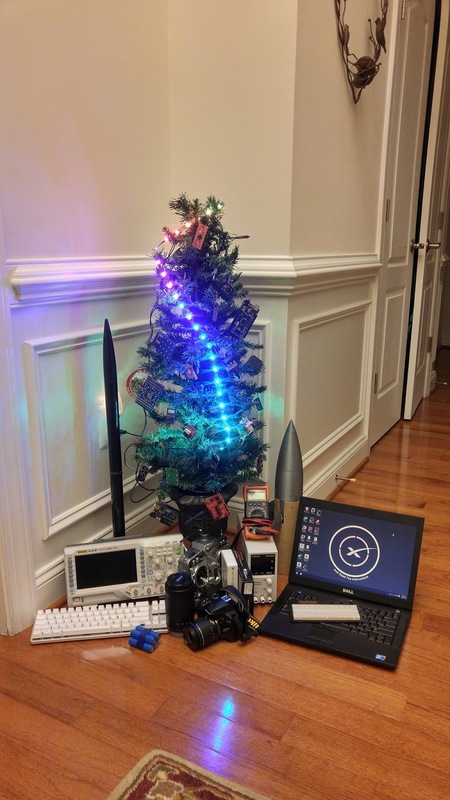 Hackertree 2016, with even better gear and Wi-Fi LEDs! Update time has rolled around again now that a good chunk of progress is completed on the Arduino based rocket stabilization system. This has taken a while since I've been busy with not only work but also getting the A+ certification in computer repair and completely reworking my current workstation. After much discussion with several other rocket tinkerers, the conclusion was reached that stresses on the servo spline itself would be quite considerable and may result in damage or inoperability. Based on force distribution I surmised that flanged bearings embedded in the system shroud tube would function as not only supports but also as smooth rotation points. With the challenge of a new fin drive train in mind, I set to brainstorming. 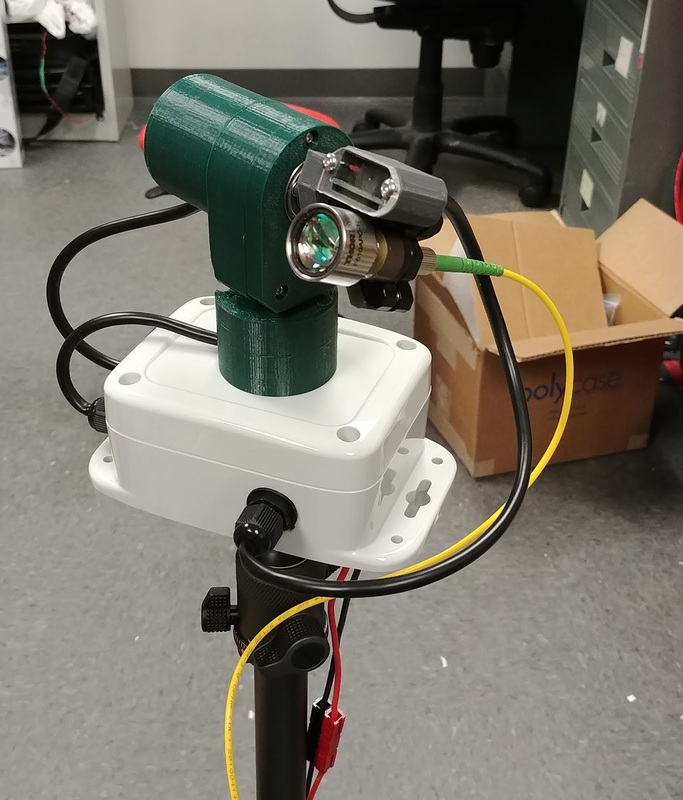 My first thought was to use linkages connecting the servo to the actuation shaft, though it would increase the diameter of the system unless the servos were staggered which would also increase the overall height of the system. Stepper motors were considered, however as I was unable to find suitably sized units and the common 28byj-48 had too low precision and torque this too was eliminated from consideration. After those two ideas were discarded, it was relegated to the back burner while I had work. The breakthrough was about a week later, while browsing patents looking at missile fin drives I noticed an old Raytheon control segment used bevel gears to transfer the motion and that became the seed for the new design. Apologies for the radio silence on this blog, work has been continually crazy and some projects have been sidelined for temporary holds due to funding reallocation, however the backlog of completed short term projects has been full for a while and I thought I'd get some posted to tide you over until the next flagship update (Coming soon! Major redesign underway). Details on projects after the break, with a teaser for the flagship redesign at the end.